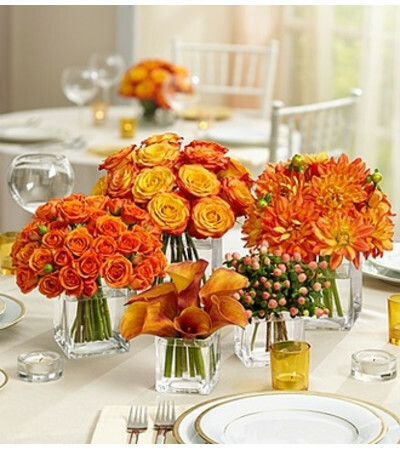 We’ve created this vibrant collection of wedding centerpieces for the couple that never shies away from color. Bursting with warmth and charm, our florists hand-design a mix of orange blooms: unique bi-color roses, hypericum berries, spray roses, mango mini Calla lilies and dahlias, each with its own unique shape and size. Available in packages of two, three, four or five, they make great parting gifts for your guests, too!